Los Angeles is all in favor of more affordable housing and increased apartment construction. But on Tuesday, the City Council voted unanimously — though largely symbolically — to oppose a state bill to allow more dense residential development near transit stations across California. Thought city officials have no say in state legislation, the vote authorize the city’s lobbyists in Sacramento to fight state Senate Bill 50. Curiously, it also allows the same lobbyists to support the bill if L.A. were made exempt, according to the Times. 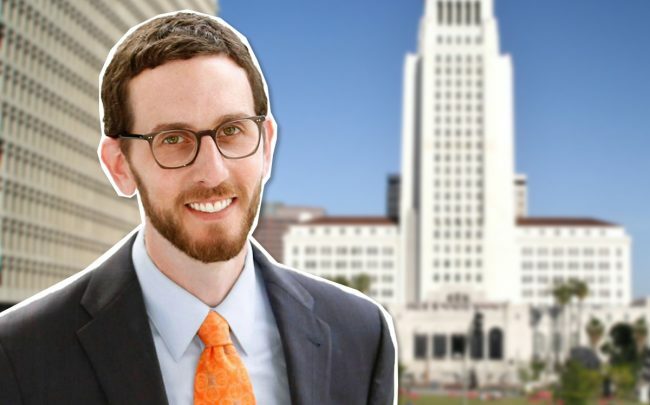 The bill, authored by State Sen. Scott Wiener (D-San Francisco), would allow the construction of four- to five-story apartment buildings near transit stations. The goal would be to increase the supply, to help ease the state’s housing crisis. Its emphasis on transit is billed as an environmentally friendly way to get cars off the road and to urbanize California’s metro areas. Generally speaking, L.A. lawmakers have opposed state-level bills they see as taking away their decision-making power, particularly over real estate development. The L.A. Council argued that its Transit Oriented Communities program already allows dense development near transit and argued SB 50 could destroy local neighborhoods. The Council also voted last year against the first version of SB 50’s direct predecessor, SB 827, before Weiner significantly scaled it back and added protections for renters. Even with those changes, state lawmakers killed SB 827 in its first committee hearing in Sacramento. Under SB 50, local governments could propose alternative development plans where they are concerned about gentrification and displacement. Developers couldn’t use the bill to demolish and redevelop rental properties occupied in the last seven years.